They are loving and good-natured, love both people and other dogs. He will make a good companion for the young and old alike. A fearless, lively little dog with a cheerful disposition. 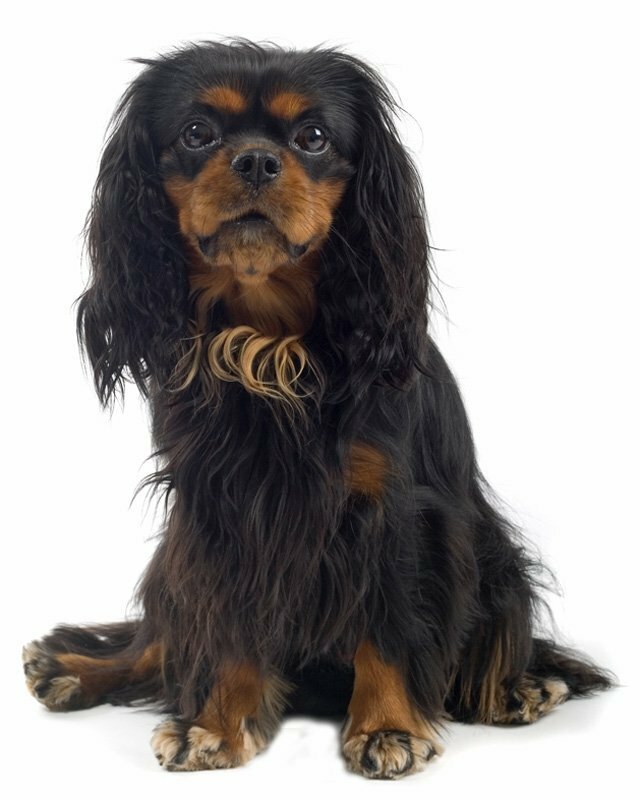 The Cavalier King Charles Spaniel is friendly, eager, affectionate tail-wagger. Lively, outgoing and sportive. These fearless lively little dogs want to please. Cavalier’s love people and need lots of companionship to be happy. They should not be left alone all day. 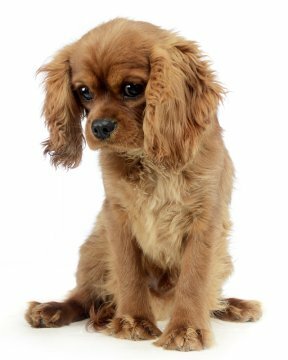 Cavalier King Charles Spaniels make good companion dogs for the elderly or disabled. Black and Tan – black with bright tan marks above eyes, head, chest, legs, underside of tail; white marks undesirable. Ruby – Rich red; white markings undesirable. 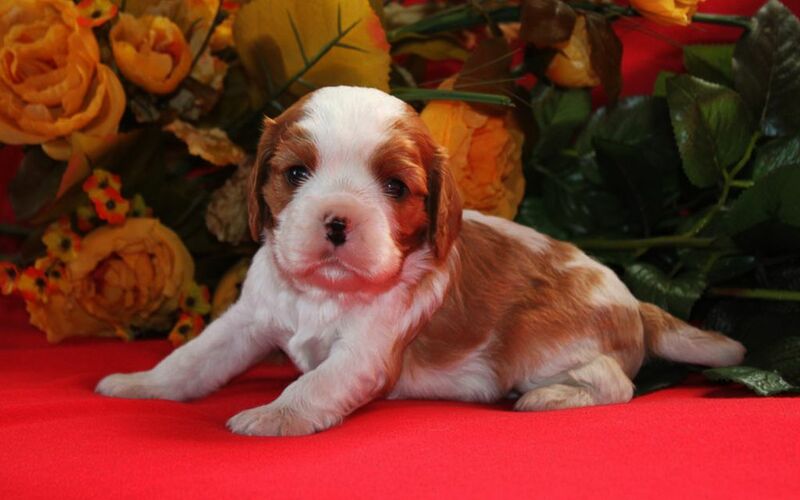 Blenheim – Chestnut markings, well broken up, on white ground; markings evenly divided on head, lozenge between ears. Tricolor – black and white, well spaced and broken up, with tan markings over head, inside legs, on underside of tail. 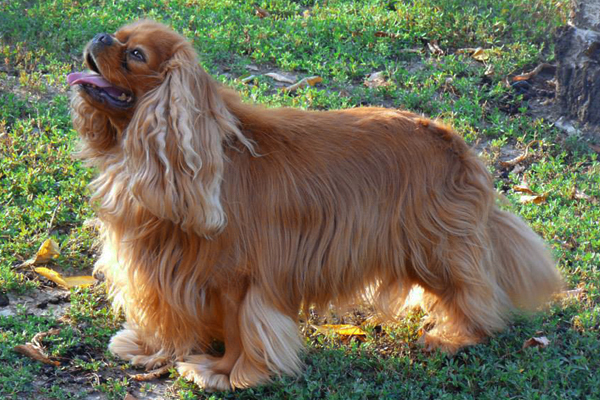 Long, fine, shedding coats that need regular brushing. 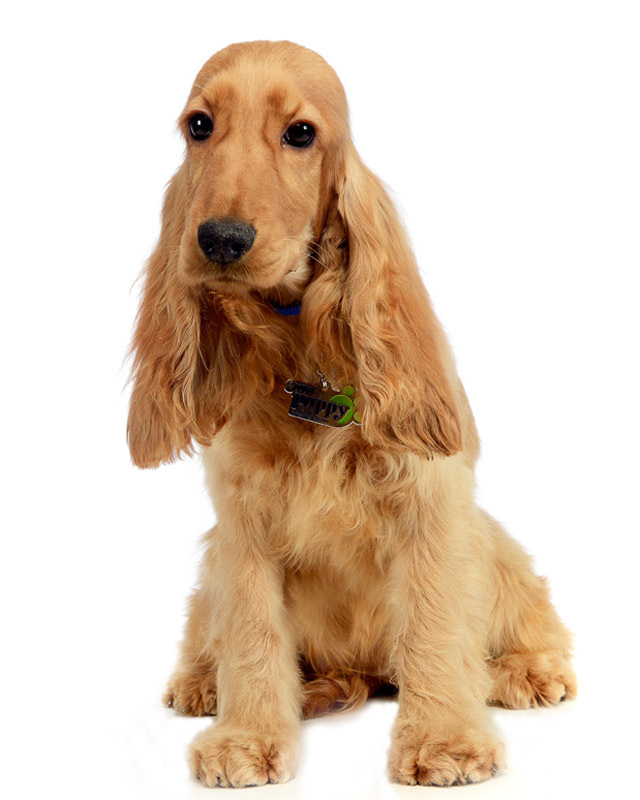 Patella luxation, eye conditions, heart murmurs and ear infections are all known issues and can be monitored with regular veterinary visits. 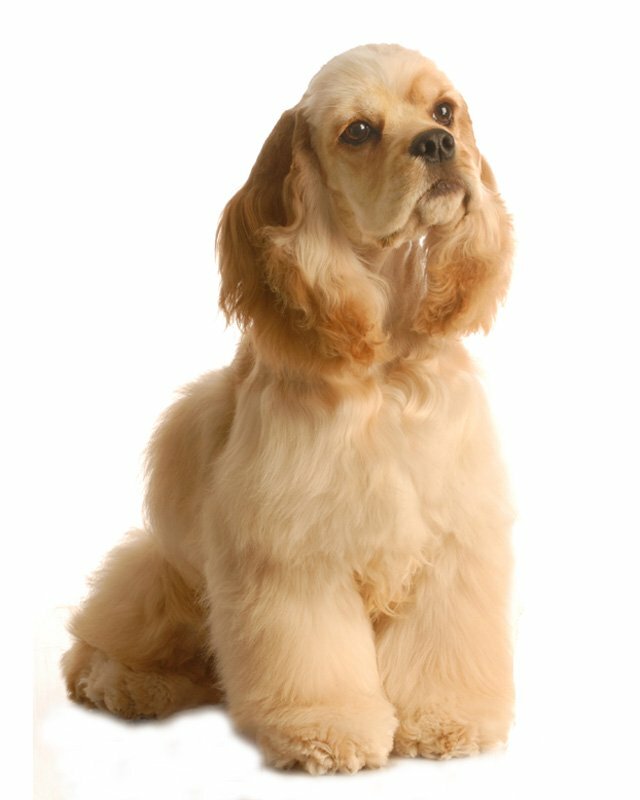 This breed is particularly prone to weight gain and obesity, and so must have a closely controlled diet. 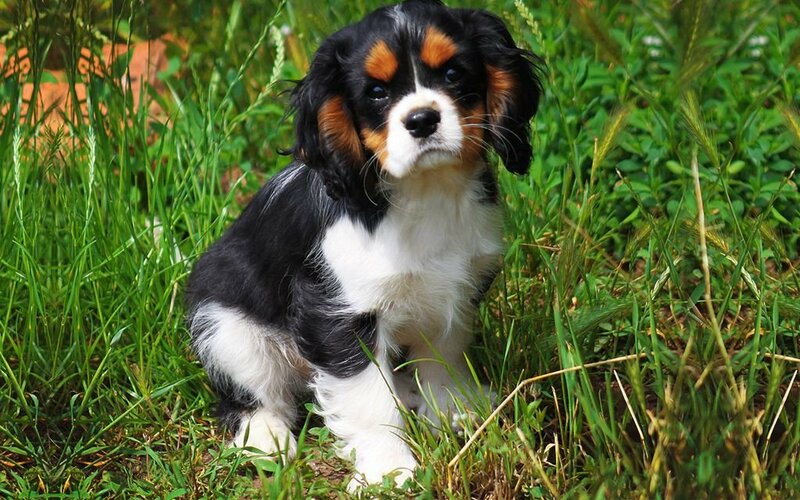 To minimize the risk of your Cavalier King Charles Spaniel developing any hereditary health issues, you should buy a puppy from a reputable Cavalier King Charles Spaniel breeder. Good for apartment life. Best with fenced yard and walks on leash. The Cavalier does not do well in very warm conditions, so always make sure they have adequate worry and shade.